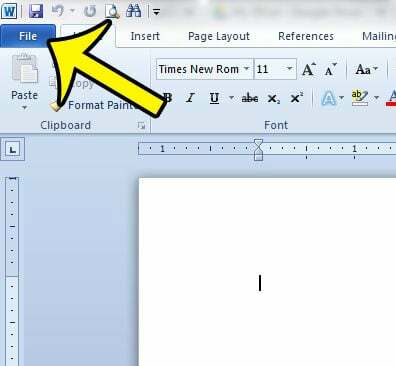 Overtype mode is an option in Microsoft Word whereby you can press the Insert key on your keyboard and type over any existing characters that are to the right of the cursor. 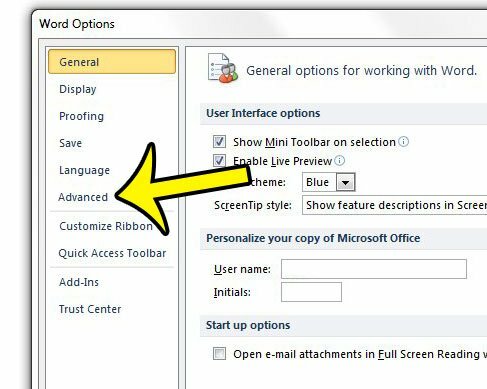 It was a default option in previous versions of Word, but a change in user sentiment has changed to the point where Overtype is disabled by default in Word 2010. But Overtype is not gone completely, and you can make a change to your Word 2010 installation an re-enable it. 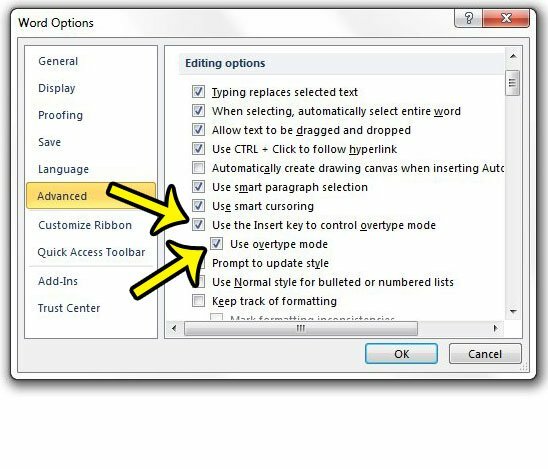 Our tutorial below will direct you to the setting that you need to activate in order to allow for Overtype in Word 2010. 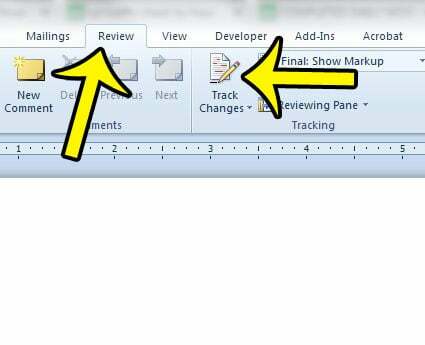 The steps in this article will show you how to turn on Overtype Mode in Word 2010. Click Options in the column at the left side of the window. Click Advanced at the left side of the Word Options window. Check the box to the left of Use the Insert key to control overtype mode, then also check the box to the left of Use overtype mode. Once you have finished making your changes, click the OK button at the bottom of the window. If you make these changes and find that you are still unable to control Overtype mode, then Track Changes may be turned on. You can turn off the Track Changes mode by clicking the Review tab at the top of the window, then clicking the Track Changes button to turn it off. Unfortunately you cannot user Overtype and Track Changes at the same time, as the two functions contradict one another. 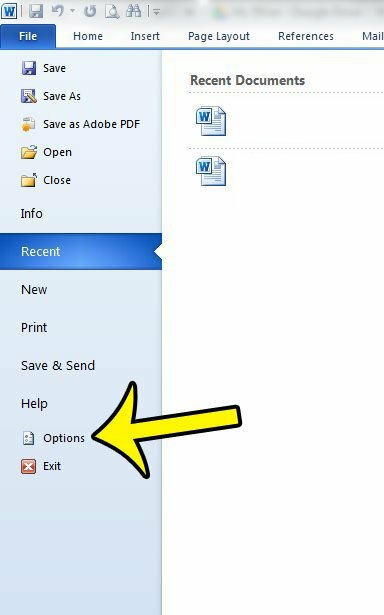 Is Word 2010 saving your documents in an inconvenient location? You can change the default save location to something that is more helpful to you.